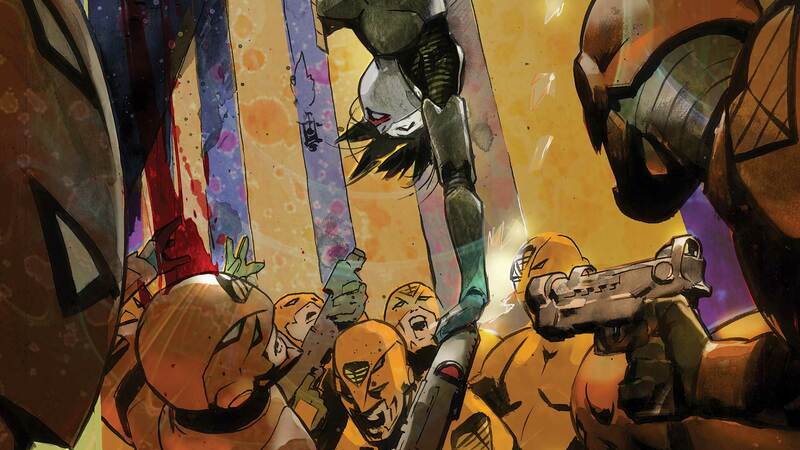 Kobra has taken advantage of Katana and the Suicide Squad’s attack on his base to assault the capital and imprison Prince Brion of Markovia! As king, he can set his endgame into motion…but Katana is sure that he’s playing a double game! And in “Deadshot,” Floyd Lawton is out—and Will Evans is in! But how will Harley Quinn, Captain Boomerang and the rest of the Squad respond to the new Deadshot? And is this truly the end of Floyd Lawton’s story?